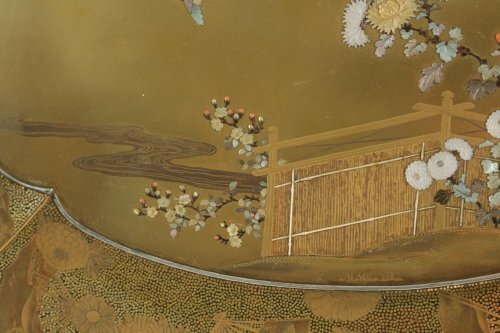 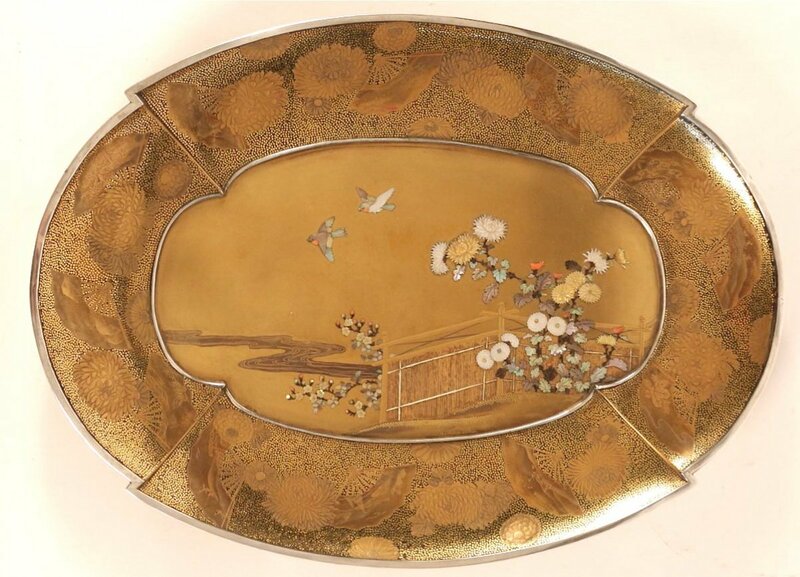 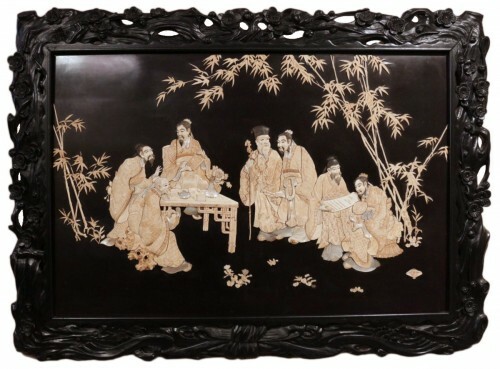 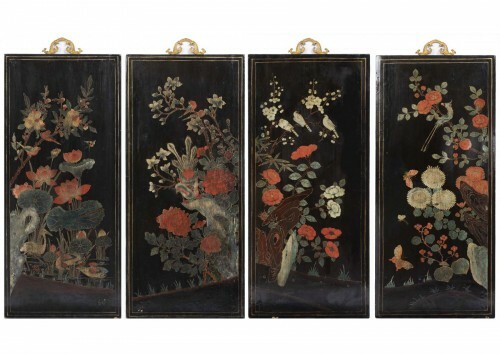 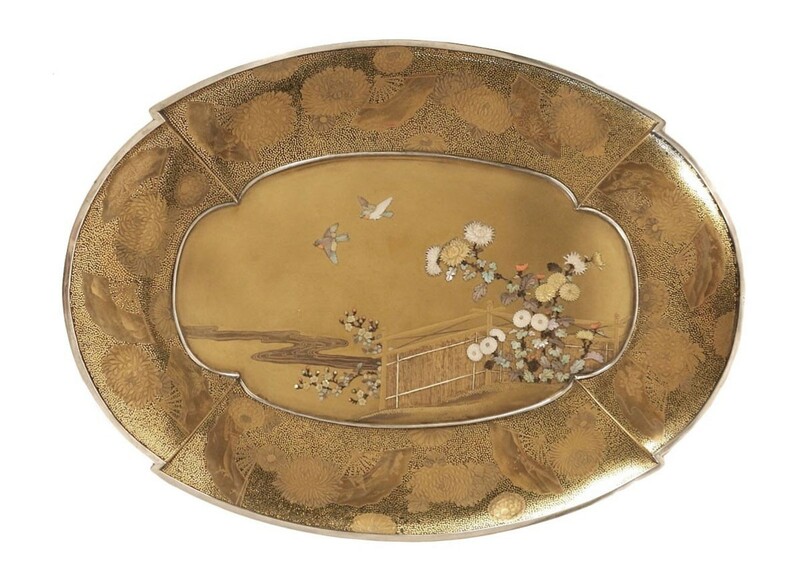 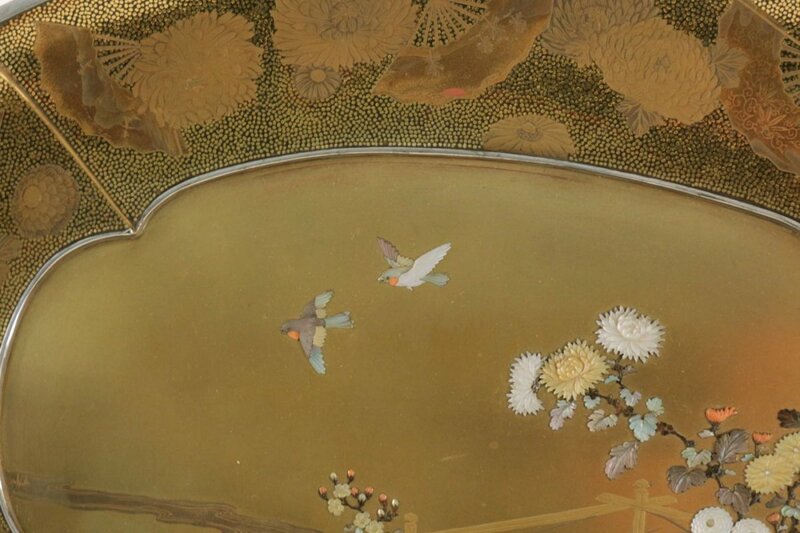 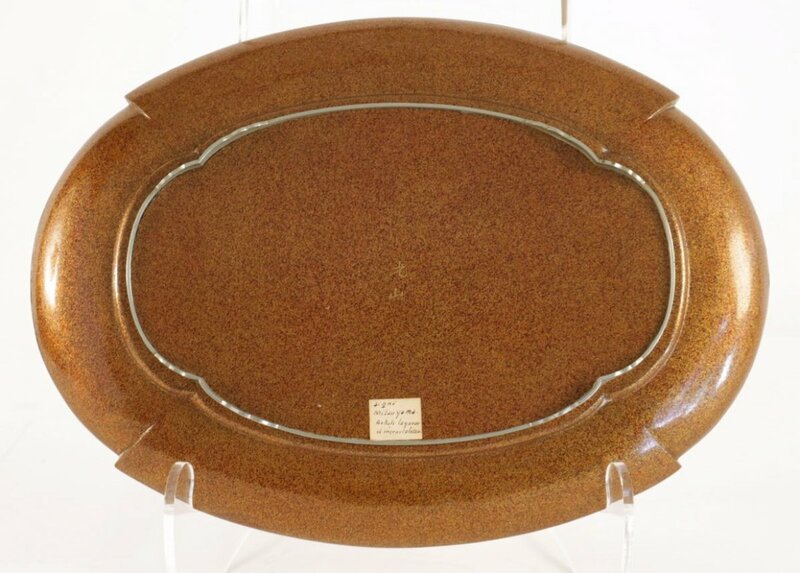 Japanese gold lacquered tray in oval shape with floral and birds design. 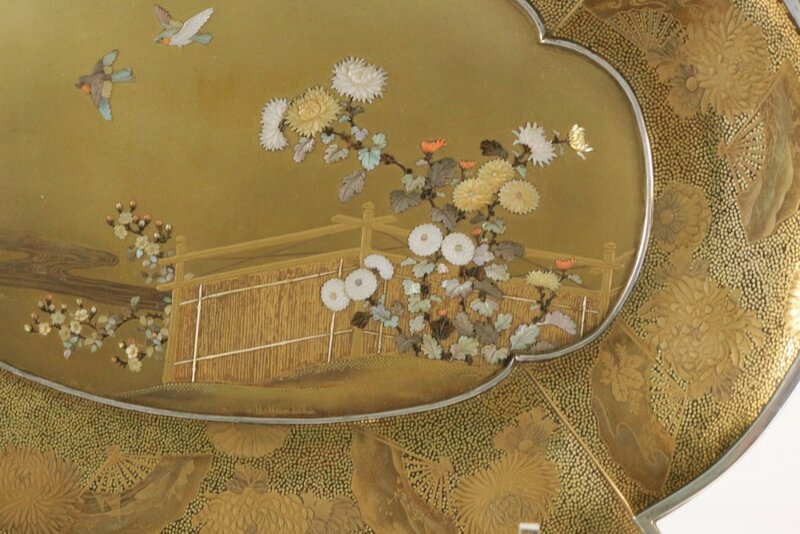 The decor is inlaid with mother of pearl, coral and shell chrysanthemum in shibayama style near a fence close to a stream. The center ground is on a fundame lacquer and the decors are in hira and taka maki-e. 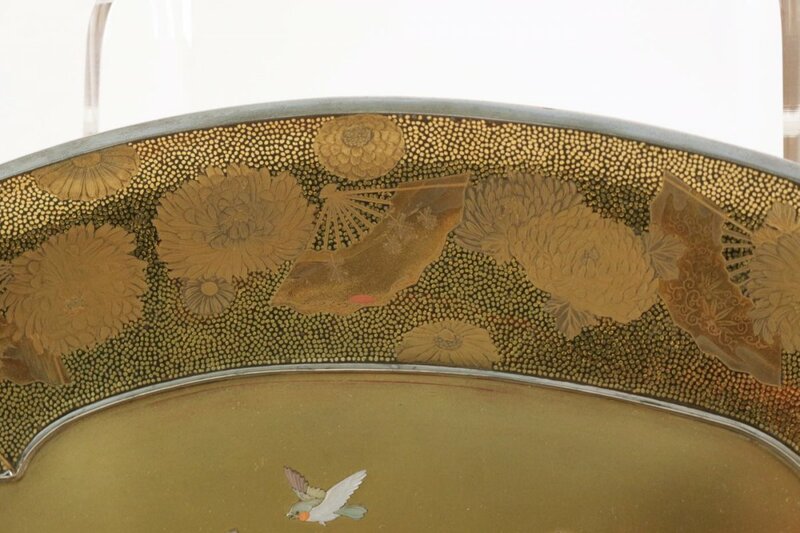 The fans and chrysanthemums are in gyobu lacquer all around the border and hira maki-e and silvered shibuishi for the edge. 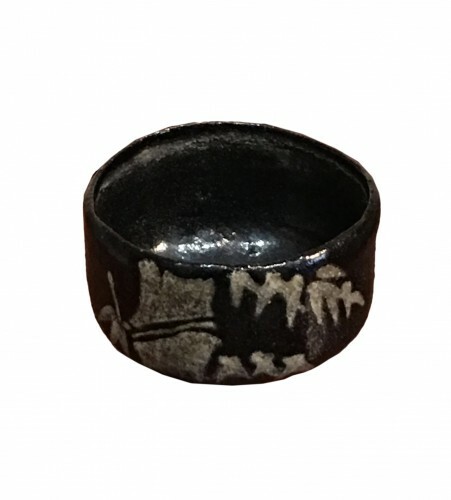 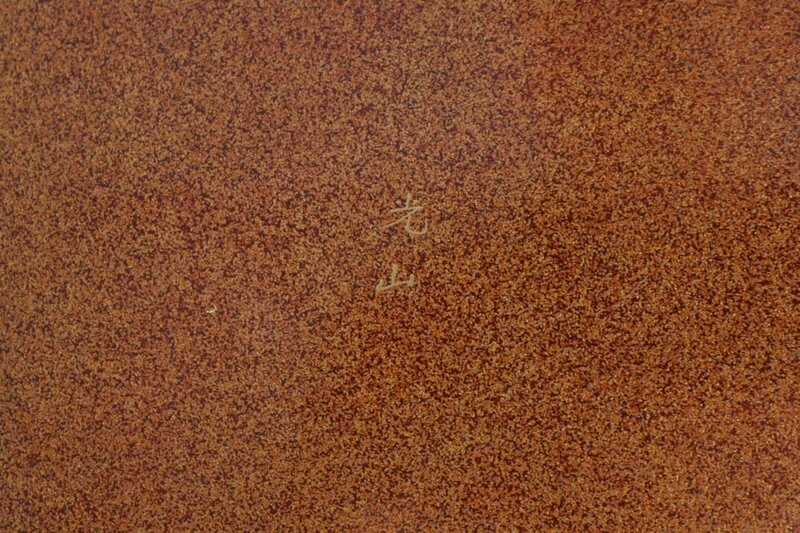 The back of the tray is on a gold and silver nashiji powder ground. 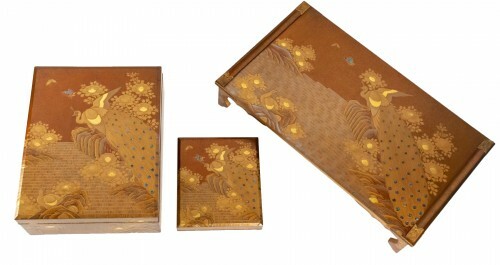 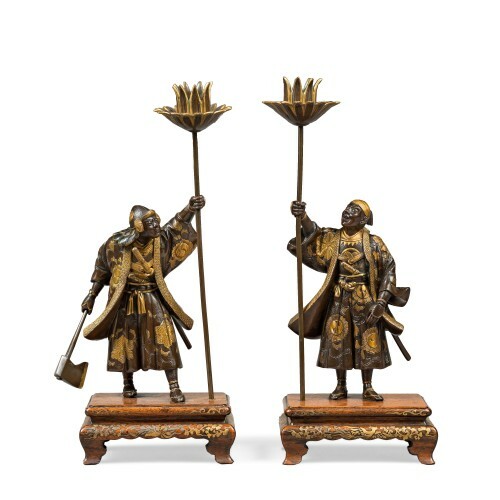 Edo/Meiji period 19th century. 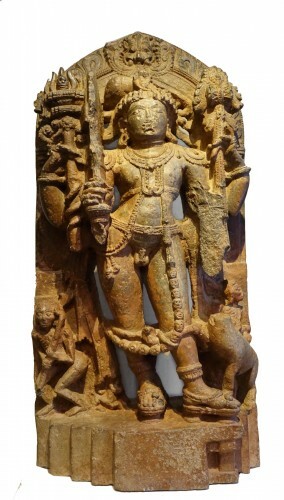 Dimensions : 36,7cm (14.4").